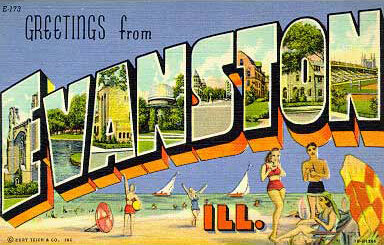 poetry – Page 2 – Greetings from Evanston, Ill.
“Taking Down the Tree” by Jane Kenyon. We got our first real tree this year. “To the Garbage Collectors in Bloomington, Indiana, the First Pickup of the New Year” by Philip Appleman. “Enough Music” by Dorianne Laux. “How Wonderful” by Irving Feldman. “Asleep You Become a Continent” by Francisco Aragon. “Fiction” by Howard Nemerov, via Lori. “Something in the Night” by Bruce Springsteen. Even when produced with the most meticulous scholarship, our dictionaries ought to remind us that words exceed our best efforts at definition and classification, and that careful reading often ends not in perfect certainty but humility. “Cuba, 1962” by Ai because the Poetry Foundation put it in their “Poem of the Day” RSS feed and I’ve never found a poem in that feed more surprising. “Dividend of the Social Opt-Out” by Jennifer Moxley, via Lindsay, because it has been a busy year and a too-busy fall and I would welcome not doing things. “Prayer” by Yehoshua November because it finds different but equally beautiful (and powerful) means to the same end as Jennifer Moxley’s social opt-out. “My Father Sings Like a Crow” by C. L. O’Dell because few poems capture our ideas of our fathers so well — and my good friend Jonny just became a dad. “The God Who Loves You,” by Carl Dennis. The poem is about God until you discover the poem is about our perception of God amid our thoughts and worries. Or so I think. “For the Chipmunk in My Yard,” by Robert Gibb. A squirrel who guessed wrong nearly landed on Lori’s head from a great height the other day, and I’ve enjoyed paying more attention to tree creatures since then. Gibb outdoes me.